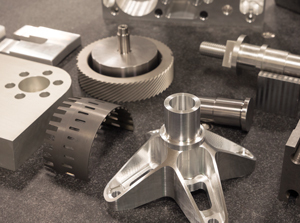 Types of Industries a Machine Shop Might Make Parts For | Kosmo Machine, Inc.
Machining is the process of producing several types of metal and machine components to create a specific shape or design to fit various industrial uses. Different machine and metal components are used in a wide variety of industries from aerospace and automobile to petroleum refineries and power plants. For this very reason, a machine shop may make metal parts for various industrial processes using advanced production methods. Advanced machining tools, such as CNC milling and turning machines, are usually employed to create different dimensions to a metal object. In contrast to the manual milling cutting methods in the past, contemporary CNC milling machines consist of multiple rotary cutters to ensure precision and accuracy of cutting metal objects to create specialized parts. The following are some industries that a machine shop might make parts for. The Shipbuilding industry is heavily dependent on a series of metal components and parts for various purposes. For repairing and cleaning ships, rotoblast and tread finishing parts are a big requirement. Different metal components and tools are needed to be made from an alloy that can provide the tensile strength needed, and be easy to clean and be resistant to corrosion. Some of these include shafts, gear blanks, hubs, pintle pins, and other complex parts that needed to be cut according to a precise measure and dimension. Because power generation is a highly capital intensive industry, the range of metal components through machining is important. Fittings for trailer frames, heat exchanges, and shell plates that consist of tubular shapes need to be cut into a specific size and with holes to enable strong attachments. More importantly, sophisticated and advanced machining components are required for water, gas and steam, and wind power. In the case of wind power, for example, machining components such as gearbox housings, hears, and rotors are required for optimum performance of wind turbines. As for gas and steam power generation, all manufacturing processes need to be function precisely and comprise of parts and components that can function efficiently under tremendous stress. Valves, such as ball valves, gate valves, and piston valves, are all metal components that require the use of CNC machinery. Codes can be programmed into the CNC machine and be used to make fine cuts according to a particular diameter and weight to support industrial applications. Industrial valves are used in a wide range of industries from oil and gas and food and beverage to pipelines, biopharm, and marine industries. Machining is also used for serving the automobile industry, especially electric motor components. Metal tools and components such as shafts and gears, as well as other parts, need to be produced cost-effectively and be durable enough for effective conduction of electricity. There are a number of industries that a machine shop can make parts for. If you would like to request a quote, please click here.